Radiesse (+) 1.5ml with Lidocaine is a transparent, sterile, injectable gel made of calcium hydroxylapatite particles and the anesthetic Lidocaine. Inject Radiesse (+) 1.5ml with Lidocaine into wrinkles to restore a smoother appearance to aging skin, into areas of facial fat loss to restore volume, or into hands to reduce the looks of visible veins and bones. Only authorized personnel in accordance with local regulations should administer Radiesse (+) 1.5ml with Lidocaine injections. Radiesse (+) 1.5ml with Lidocaine offers longer lasting results when compared to hyaluronic acid fillers; results can last up to a year or more. 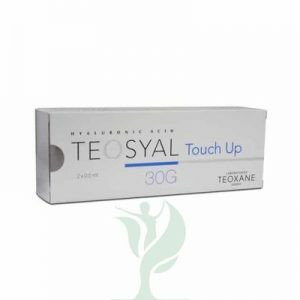 This product is also particularly suited to correct more severe wrinkles and folds as it possesses better volumizing properties. Supplemented with lidocaine, treatment with this product can now be a more comfortable experience for your patients. Radiesse (+) 1.5ml with Lidocaine contains particles of synthetic calcium hydroxylapatite (CaHA), which is commonly used in medicine and is a component of bone and teeth. When you inject the dermal filler gel, the particles add volume beneath the skin, supporting the skin and smoothing the appearance of wrinkles or folds. Although the CaHA gradually breaks down within the body, since it had acted as a scaffold for collagen to grow, it leaves behind these collagen fibers to maintain the volume. During the injection itself, the lidocaine in Radiesse (+) 1.5ml with Lidocaine acts as an anesthetic, numbing the injection area to reduce needle pain and discomfort that the patient might feel.